is client list reads like a Who's Who of Wall Street bad boys, from onetime ImClone Chairman Robert F. Goldhammer  who didn't fire Martha Stewart's friend, Sam Waksal, fast enough  to the world's biggest insurance company, American International Group, which agreed to pay $10 million to settle securities fraud charges. He's Barry H. Berke, a young and energetic New York lawyer to the rich and infamous. In 2001 he burst onto the numismatic scene  or rather, behind it  when he negotiated a landmark deal that allowed the private ownership of a $20 gold coin the government had long considered illegal. The coin was a 1933 Saint-Gaudens double eagle, specifically the Fenton-Farouk specimen  so named for Berke's client, British coin dealer Stephen Fenton (from whom the Secret Service had seized it), and for the late Egyptian King Farouk, who presumably owned it at one time. When the hammer fell at $6.6 million on July 30, 2002 (with buyer's fee, $7.59 million), it shattered all records. 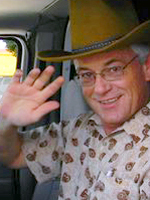 Fenton and the U.S. Treasury Department split the proceeds 50-50. Everybody won  but to many outside observers, everybody lost. Leading numismatists wanted to see the case go to trial, so sure were they that Berke and Fenton would prevail. If the case settled without a clear verdict, so went the reasoning, the door would remain open for the government to seize other coins. Hobby leaders wanted that door shut. A second chance came sooner than they imagined. 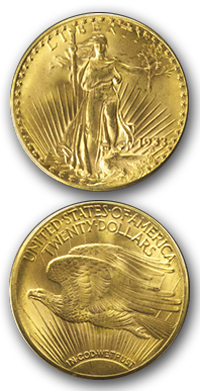 On Aug. 11, 2005, the U.S. Mint announced it had "recovered" ten more 1933 Saint-Gaudens double eagles. The "recoveree" was Joan Switt Langbord, the 75-year-old daughter of the late Philadelphia gold merchant Israel "Izzy" Switt. All signs pointed to Izzy Switt in a 1944 when the Secret Service identified him as the individual who obtained, from the Philadelphia Mint, every 1933 double eagle ever known to exist in private hands, including the Fenton-Farouk specimen  and obviously, some that weren't known to exist. Joan Langbord wants her coins back. Her attorney is Barry Berke. * * * The following interview was conducted Oct. 17, 2005. It should be noted that Berke hadn't filed suit to recover the coins by the date of the interview; therefore, he declined to answer questions about any pursuit of an out-of-court settlement or certain facts in the case, such as how Joan Langbord's family came to possess the coins. COINage: You represent a lot of people who've been indicted on securities fraud charges. Numismatics is a departure for you  or are there similarities? Berke: You know, it's interesting. I am a trial lawyer. I represent people in all sorts of cases. I've done a lot of criminal work, but I've done a lot of civil work, as well. Traditionally, questions about forfeiture  that is, whether the government can seize things, whether they're coins, artwork or other things  they track a lot of the same law that applies in the white-collar criminal area. Underlying almost every forfeiture claim, you have to allege a violation of a statute. In a case like this, where the government has seized it, the law and the issues that get litigated are very similar to what I do in other sorts of cases. Ultimately if the government does not agree to give back these coins, there would be a trial before a jury; that would be very similar to what I do on a regular basis. COINage: The Mint seems to have different ideas about forfeiture. In an interview this month, the Mint defined "forfeiture" as "a procedure by which the government forces an owner of private property to relinquish title to the United States." Point being, the Mint considers the 1933 double eagles to be stolen government property, and therefore, it says, "recovering such items does not require forfeiture proceedings because title to them already vests in the United States." Berke: To speak candidly, I think that's one of the more aggressive positions the government has taken here. Clearly, whenever they want to seize property and deprive someone of their property, even if they believe they can do that based on the theory that it was stolen or that it belongs to the government, they have to follow the law. They have to follow procedure. We don't live in a country where the government can simply say that something is theirs and take it. We have a whole set of laws that prevent that. In fact, back in (1996), when they seized the other coin belonging to Stephen Fenton, whom I also represented, the government recognized that they had to file a forfeiture claim and did so. They ultimately settled that case, I believe, because they didn't like their chances. Now they're trying to avoid the same problem by trying to avoid the forfeiture laws. I think in addition to the substantive claims we have for return of the property, we also have claims that they have not followed the law and procedures that govern these sorts of matters. COINage: From whom did Joan Langbord receive the 10 coins? Were they left behind in her father's shop? 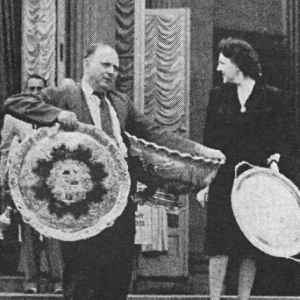 Israel Switt with his purchases from an estate sale in 1944. Berke: What I can say is that when they were found, they were always within possession of the family. It's not that they obtained them from somebody else. COINage: Do you have knowledge of any more than these 10? Berke: I know of only 10. And I think it's safe to assume that having voluntarily come forward with these 10, they wouldn't have done that if they weren't prepared to do it for all of them. COINage: When did Langbord voluntarily hand them over to the Mint? Berke: In September of 2004 the Mint took temporary possession of them. We informed them of the coins, discussing issues related to the coins, and they asked for the right to be able to test them to ensure that they were authentic. Subject to an agreement that specifically preserved all the rights that Joan Langbord and her family have for the coins, and made clear that they own the coins ... the Mint was given the limited ability, at the Mint's request, to simply authenticate the coins. COINage: You say "we." Were you representing her in September 2004? COINage: How did that come about? Berke: I was contacted by the family, who came and asked me to represent them. COINage: They were aware of your actions in the Fenton case. COINage: Why did the coins need to be authenticated? Berke: From our perspective, they didn't need to be authenticated. We had no question. COINage: How did the Mint learn of them? Berke: The family came forward and voluntarily apprised them of them. Berke: No, no. The family and counsel informed the Mint that the family had these coins. The family did everything in an extraordinarily above-board fashion. They came forward. They did not in any way try to conceal their ownership of these coins and have acted in a tremendously forthright and open manner throughout. I know the government hasn't credited them for those actions, and I think they should be credited. They're very up-front people who wanted to do everything the right way. COINage: Why apprise the Mint of the coins' existence? Berke: The Mint had made statements that they would seize coins that were 1933. We didn't think they had a basis to do that. COINage: If the Mint had made it clear that the Fenton-Farouk coin was the only 1933 double eagle it would ever "legalize," then Langbord's coins were turned over to the Mint with the clear knowledge that the Mint would seize them, were they not? Berke: The Mint doesn't have the ability simply to say: We're going to determine which coins can or can't be publicly sold. Although today they certainly state positions that suggest they believe they do. But those issues have to be resolved in a court of law. If, after having litigated the (Fenton) case for (five) years and resolving (it) by auctioning off the coin, they felt they still had a basis to try to litigate the propriety of private ownership of those coins, they certainly could try to do that, but they have to do that through the courts. Clearly, when the coins came out, whether or not the Mint was going to take that position is something that would have played out. Unless somebody is prepared to ... conceal their ownership or sale of the coins, the fact would come out and the issues would have played out one way or the other. The Fenton-Farouk specimen is the only 1933 double eagle that the government considers "legal." COINage: How did you come to represent Fenton in the first place? Berke: Originally he was arrested and charged with a crime for importing the coin, so it came to me as a criminal case. I represented him in the criminal case, and we successfully had the criminal case dismissed, and then they filed the forfeiture action. So naturally it followed that I represented him on that. In terms of some of the expertise, part of what I do as a trial lawyer is, in every case (I become) an expert in that matter as it relates to that case. I knew virtually nothing about numismatics when I first represented Stephen Fenton, and at the end of it I could say that I knew probably everything that there is to know about the 1933 double eagle. But if you want to ask me about a 1913 Liberty head nickel, I could tell you about the questionable background, but other than that, my knowledge would fall far short. COINage: The Farouk coin disappeared after the Nasser government sold off Farouk's collections in 1954. It wasn't seen again publicly until 1996 when it turned up in Stephen Fenton's pocket. Are you confident that the Fenton coin was the Farouk coin? Berke: It doesn't matter what I personally think. The settlement that was entered into is not dependent on it being the Farouk coin one way or the other. COINage: The Fenton settlement agreement says it sets no precedent for "any other coin or property of the United States, including any other 1933 double eagle that may exist." Was that language at your request? COINage: The first 1933 double eagles were coined and recorded in the Mint's books on March 15, 1933. In your answer to the government's complaint in the Fenton case, you reference the 1954 change to the Gold Reserve Act, which declared that all gold coins made prior to April 5, 1933, had special collector value and were therefore legal to own. You also cite the Coinage Act of 1965 which, as noted in the brief filed by the Professional Numismatists Guild, legalized the ownership of all coins that were "coined or issued" by the United States. Would those defenses apply in this case? Berke: At this point where we are in the litigation, I can't comment on the specific arguments. COINage: What is your position on the government's claim that Langbord's coins, like 10 others in the 1940s and 1950s, were "stolen from the United States Mint at Philadelphia?" Berke: We don't believe there is any evidence that the coins were stolen. We don't believe the government knows how they were released, and there are a lot of arguments that they could have been released in ways other than they were stolen. I don't think the government has ever been able to definitively prove that they were stolen. They couldn't in the last case, and I don't believe they could here. COINage: Is the burden on the government to prove they were stolen? Berke: We believe it is. COINage: In its complaint against Stephen Fenton, the government said the 1933 double eagles "never became currency or legal tender of the United States" because "the Philadelphia Mint never received an order from the Treasurer directing it to issue and circulate" them. However, the Coinage Act of 1873 spells out a way they could have been legally released without being "issued for circulation." The public could walk into the Mint and legally exchange gold bullion for current coin that was kept on hand for that purpose. President Roosevelt didn't repeal the "exchange" provision until April 5, 1933  three weeks after the first 1933 double eagles were made. It's known anecdotally that Izzy Switt used to exchange bullion at the Mint. Why didn't you raise the "bullion exchange" argument as a defense in the Fenton case? Berke: Keep in mind that what was filed in Fenton were the legal arguments. What you're describing is a factual argument. Those are the issues that are addressed at the trial. Had the case gone to trial, that would have been an issue that would have been addressed. COINage: In light of the changes in the law, such as in 1954 and 1965, are these coins legal to own today? Berke: I believe that the coins will be returned to Joan Langbord and her family, with full authority to dispose of them as they see fit. I do believe that they will prevail in the dispute. COINage: It seemed fairly certain you would take Fenton to trial. What was the deciding factor to settle? Berke: It was a very favorable settlement for him, and it brought closure with the circumstances of the sale that we thought would result in a very substantial return. So from his perspective, it was a win-win. COINage: Do you anticipate that Langbord will go to trial? Berke: It's very preliminary, but  I get brought in because I'm a trial lawyer. I handle every retention as though, and I prepare, in fact, to go to trial. Like any good trial lawyer I was disappointed on a professional level (that I) didn't get the opportunity to try the Fenton coin case, although I was pleased that the result was this favorable for my client. In (the Langbord) case, we are proceeding on the assumption that it could certainly go to trial. COINage: Do you want it to go to trial? Berke: I want the best results for my client. Certainly everyone recognizes trial takes time and resources. On a personal level, sure, I would try this case any day of the week. But I just want to achieve the best result and hopefully get the coins back. I would hope the government would do the right thing  simply return them. I was disappointed they took the action that they did. COINage: Although there is no direct mention of it in the settlement agreement, many observers believe the government decided to settle the Fenton case because the Treasury Department issued an export license for the Farouk coin in 1944, theoretically deeming it legal to own. Do you feel it's proper to characterize the settlement as stemming from your argument about the export license? Berke: Any sort of settlement like this could be characterized different ways by different people. From my perspective, the bottom line is, the government recognized that they should allow this wonderful coin, this numismatic rarity, to be sold and owned privately. I think it's very hard for them to distinguish their actions as to that (Fenton) coin with their actions as to these (Langbord) coins. COINage: What was the last case you won at trial? Berke: Last year I won a high-profile boxing arbitration and subsequent court proceedings establishing that our client had the exclusive promotional rights for all boxing matches involving the light-heavyweight champion of the world, Antonio Tarver. ©2006 MILLER MAGAZINES INC./LEON WORDEN. ALL RIGHTS RESERVED.